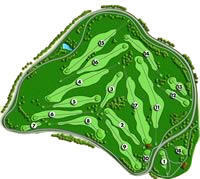 Public golf in the City of Buffalo could see a significant redesign in the coming years with help from one of the sport’s best-known players. When it comes to convenience, Buffalo parks rank well above the national average. 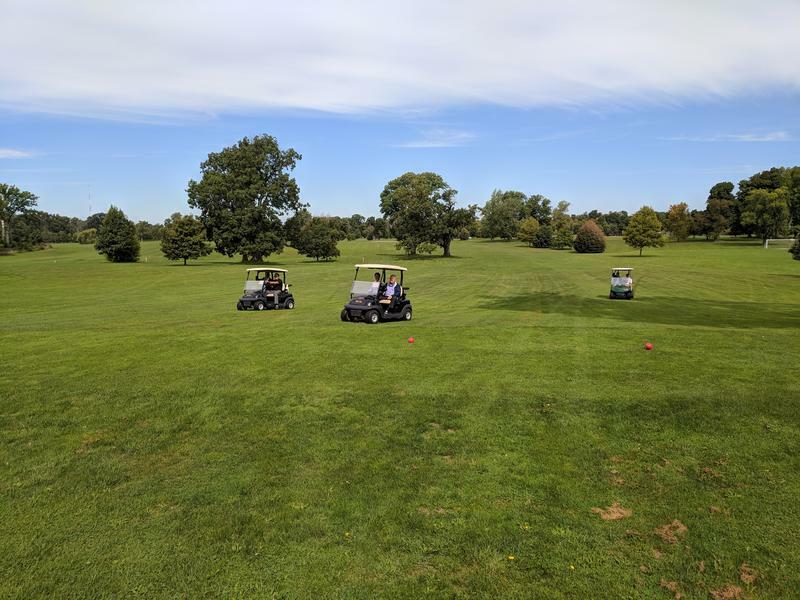 According to a new report from The Trust for Public Land., 85 percent of Buffalo residents live within a ten-minute walk of a park. 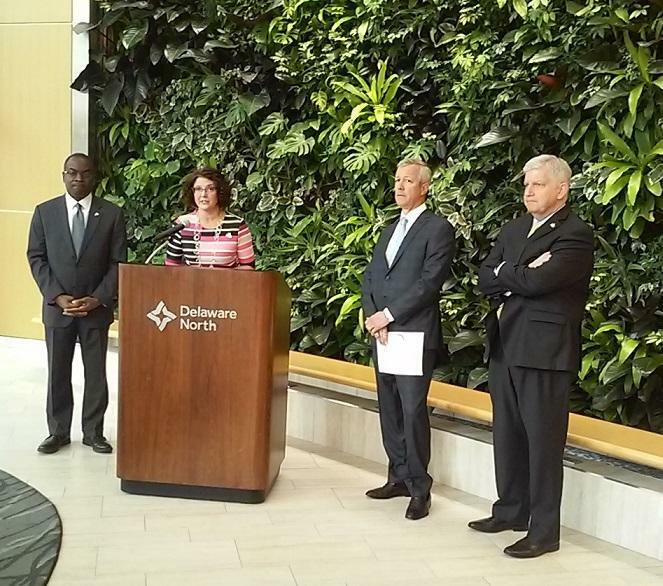 When it comes to spending on parks, Buffalo is behind the norm. 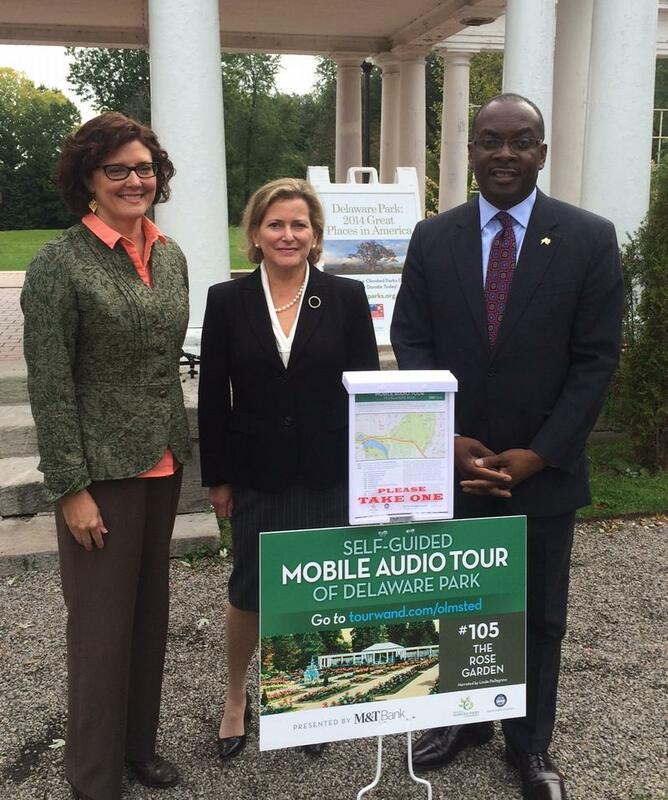 The national median for park spending is $83 per resident; in Buffalo, that number stands at $69 per resident. Ali Hiple of the Trust for Public land provides details on a new report which compares Buffalo parks to national norms. 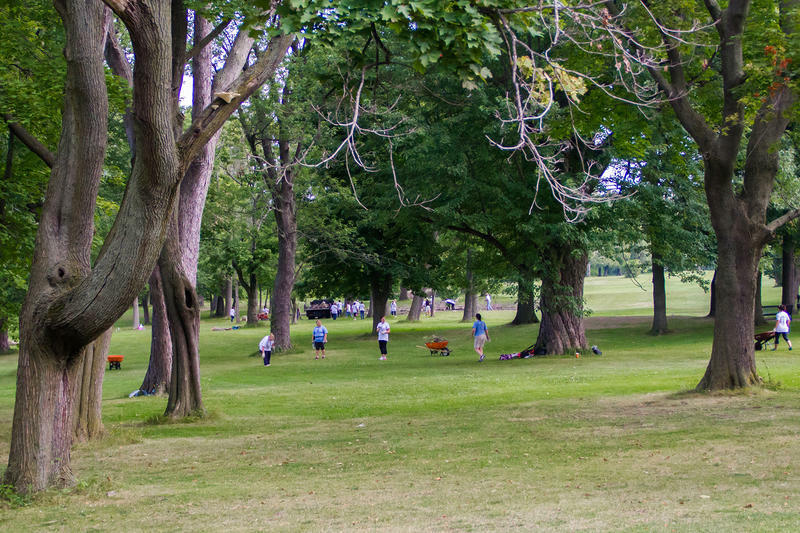 What changes do residents want for Buffalo's Olmsted Parks? That was the question asked Monday night, with the goal of having a five-year capital plan of improvements ready by May 2019. 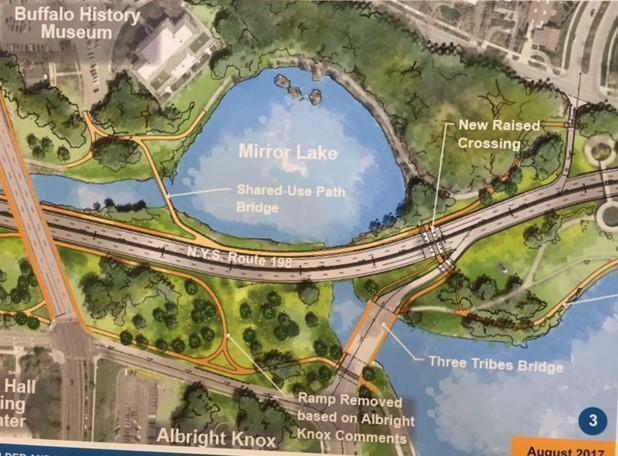 The Olmsted Parks Conservancy is holding a series of meetings seeking the public's input as it develops plans for the next five years. Brian Dold, Director of Planning and Advocacy, says tonight's session will focus on the South District. In lining up 1,500 plastic pink flamingos last week, the Olmsted Parks Conservancy made its way into the Guinness World Records. 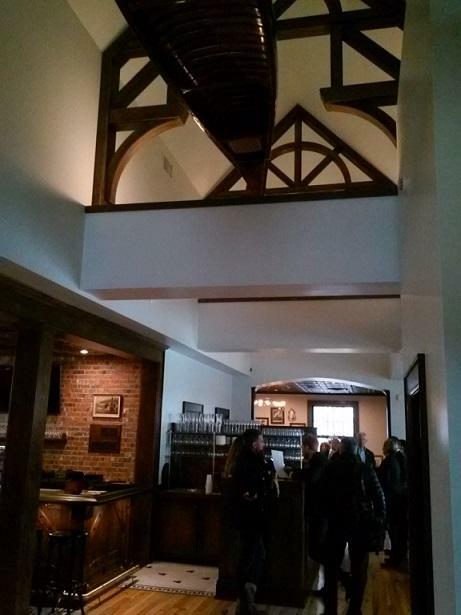 As Newell Nussbaumer and Jessica Marinelli of Buffalo Rising point out during WBFO's Press Pass, the effort raised funds and awareness for the Conservancy, which has helped to fuel a civic recovery in Buffalo. 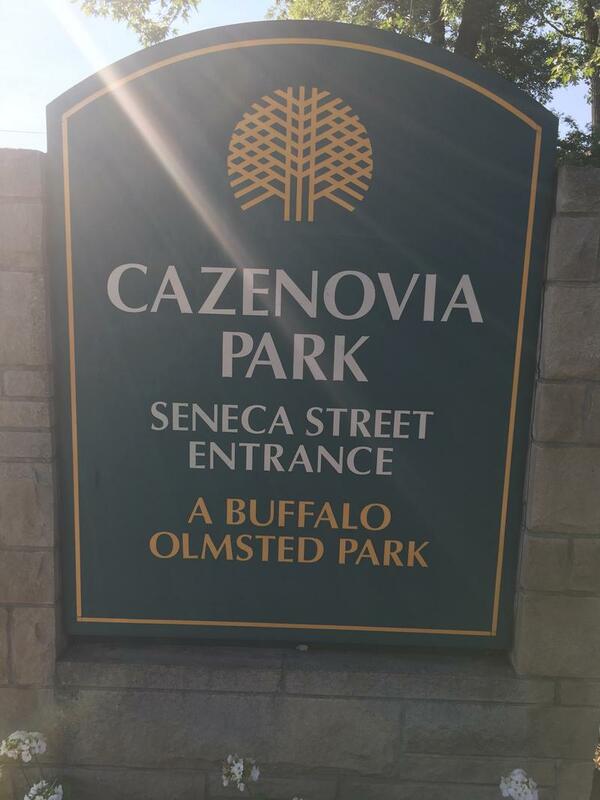 During their monthly appearance on WBFO's Press Pass, Jessica Marinelli and Newell Nussbaumer of Buffalo Rising discuss the Olmsted Parks Conservancy and the city's growing attachment to soccer's World Cup. As winter melts into spring, thoughts turn to cutting the grass and planting new trees. 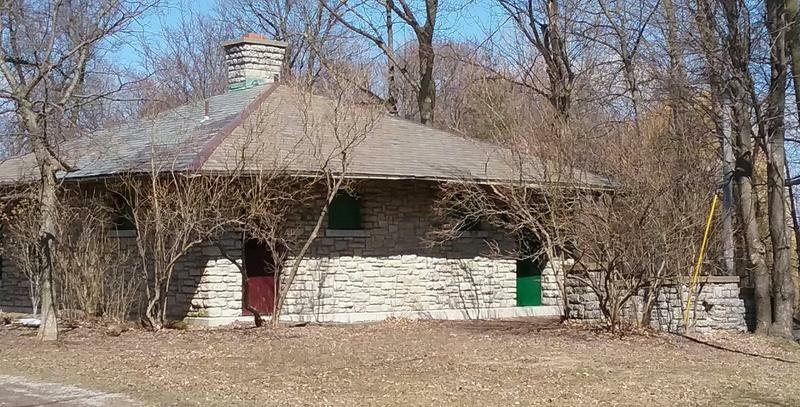 The Buffalo Olmsted Parks Conservancy is thinking about that - and also about the buildings in city parks that need repairs - very expensive repairs. 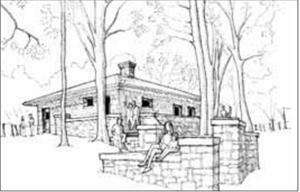 A long-neglected shelter in Buffalo's Delaware Park will undergo an extensive restoration and reopen next year. 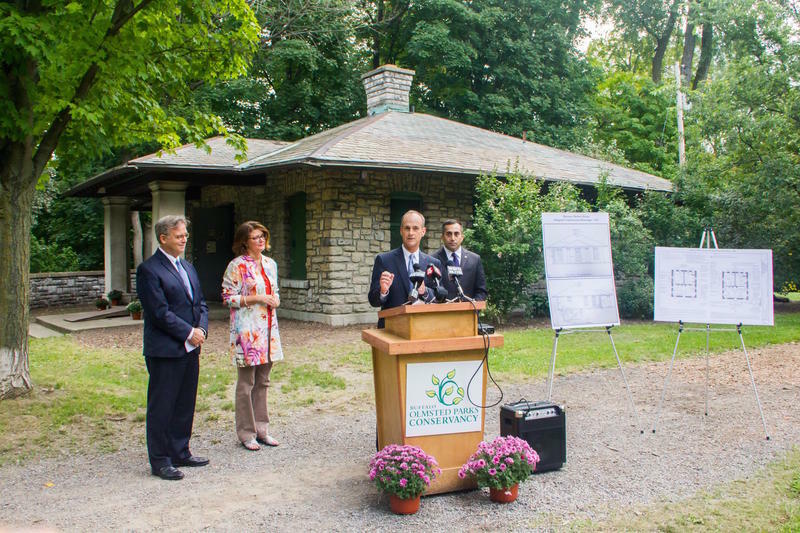 The Buffalo Olmsted Parks Conservancy announced it has received a $250,000 grant that will make the project possible. He came, he saw, he designed. 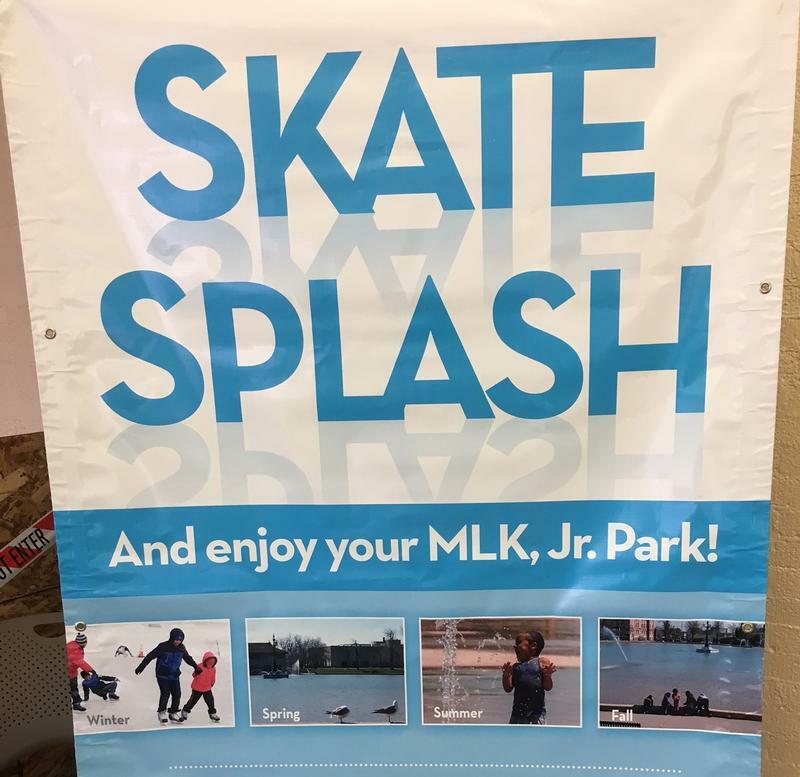 It was 150 years ago this year that Frederick Law Olmsted visited the Queen City and began the process of developing Buffalo's public park system. 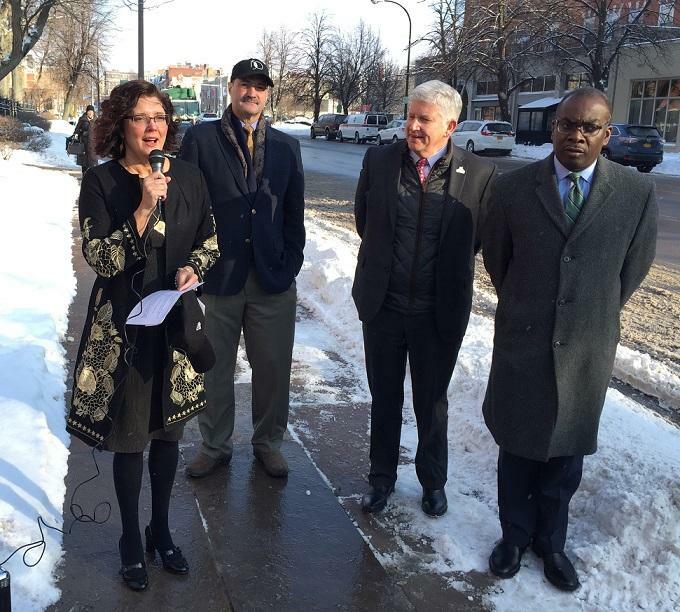 The Buffalo Olmsted Parks Conservancy, which oversees the parks, has announced plans to celebrate the milestone anniversary in the spring and summer. 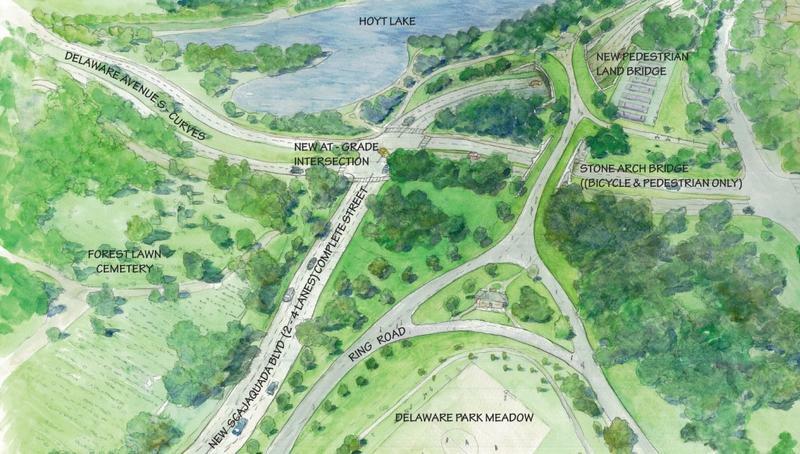 The Buffalo Olmsted Parks Conservancy, along with its partners, is ramping up its effort to convince the New York State Department of Transportation's to halt its plan for redeveloping Route 198 in Delaware Park and come up with a better solution. 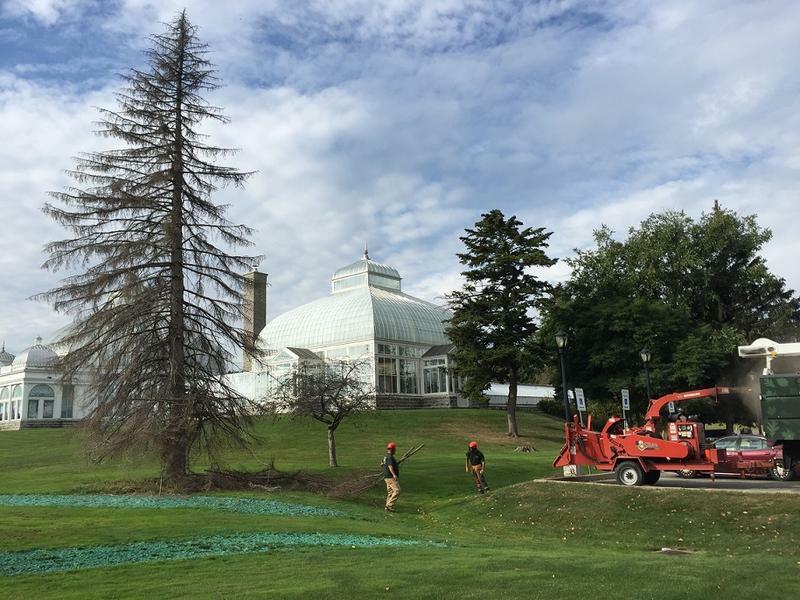 Visitors to the Buffalo and Erie County Botanical Gardens may notice a few missing items outside the vintage greenhouse and dome. 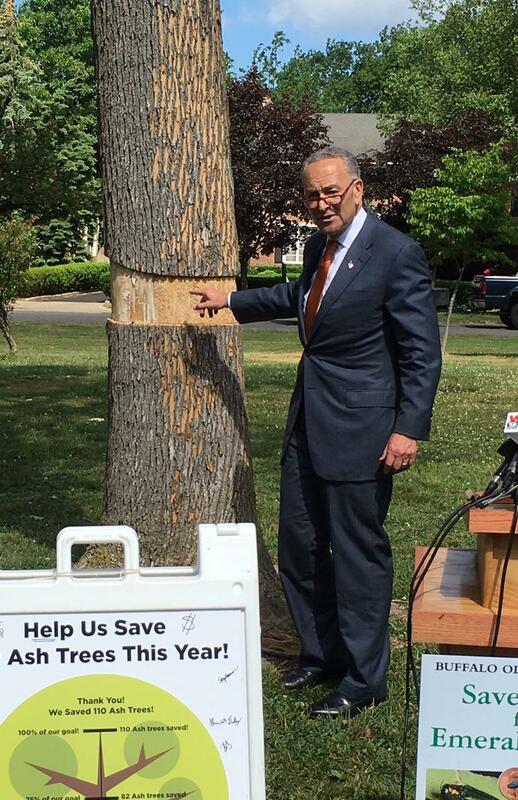 Several trees have been cut down. But more are coming in their place. 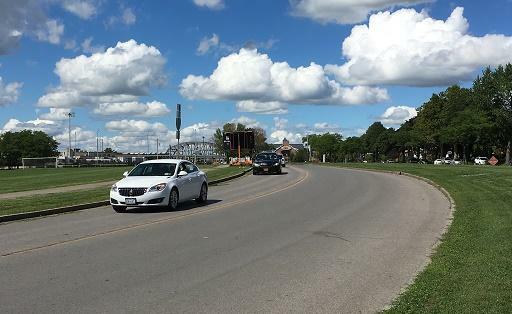 The days of routing Peace Bridge traffic through Front Park in Buffalo are coming to an end. 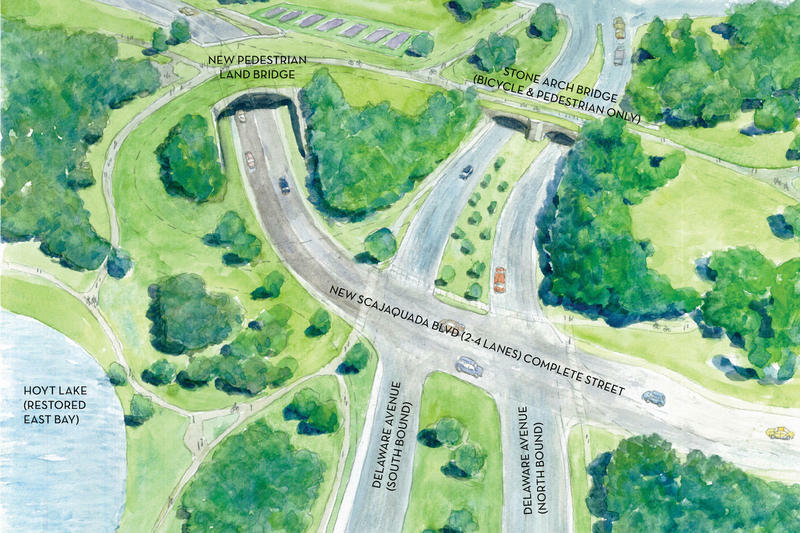 It's the latest step in the state's $56 million Gateway Connections Improvement project. 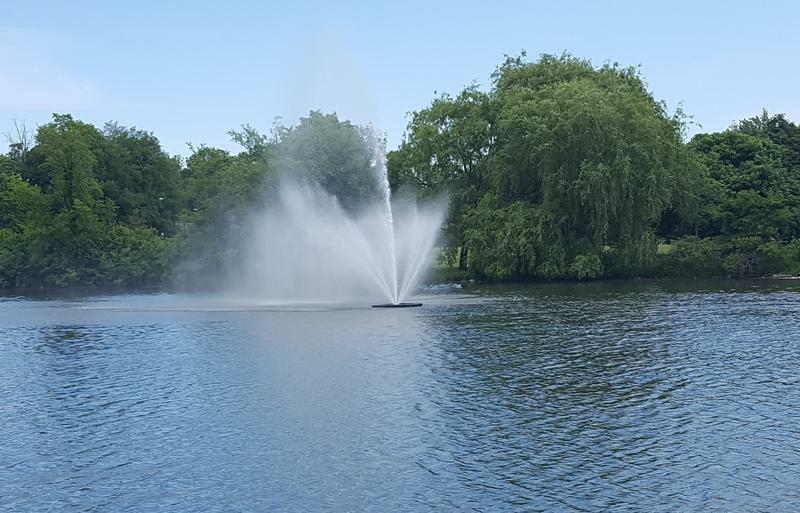 The fountain in Delaware Park's Hoyt Lake is in need of repairs. The water feature was installed less than three years ago to reduce algae and the foul odors it produces. The Olmsted Park Conservancy crossed off the "interim" in Stephanie Crockatt's title Thursday and made her the organization's executive director. Pioneer landscape architect Frederick Law Olmsted was celebrated Wednesday on Earth Day and for his birthday coming up on Sunday.